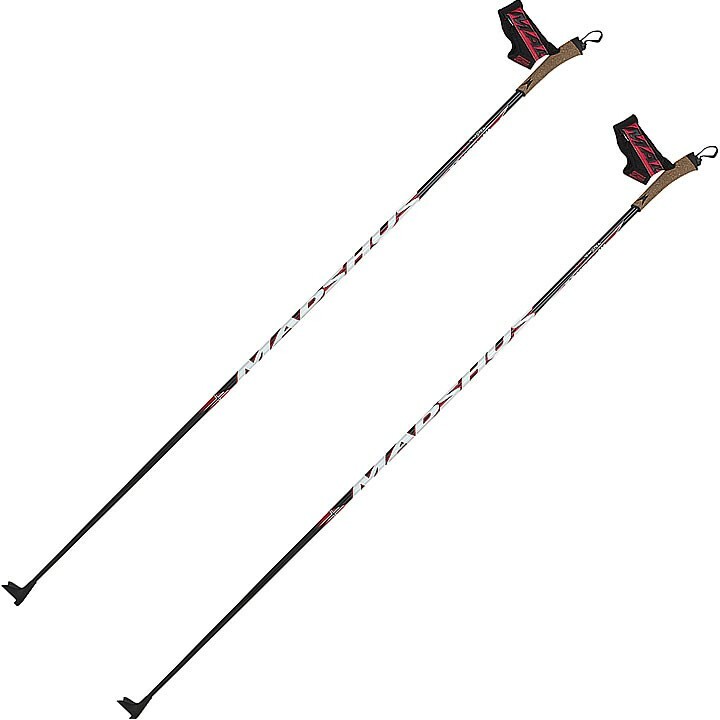 The strong, lightweight shaft of the Madshus Carbon Race 70 cross country ski pole provides performance for the race-oriented skier. The ergonomic cork Race Handle wraps to the very top for warmth, and 3D molded Contour Race strap provides enhanced comfort and performance. 3D Molded Contour Race Strap: Madshus Contour strap is a 3D structure built around the complex palm shape and movement pattern, so that it fits like a glove and provides optimal power transmission to the pole. The strap is flexible and easy to adjust and can be heat molded to individual needs. Supergrip: Silicone printing on the inside of the Contour Race strap keeps the strap firmly in place so you can pole more effectively from start to finish.